At times you will need to migrate the orders of your WooCommerce website, bulk update the information of the orders, want to add new order information to a website. Manually adding the orders is not practical and will eat up a lot of your time and take a lot of effort. When you have hundreds or thousands of orders on your website, the task becomes near impossible. So, the easiest way to accomplish this is by importing and exporting the order data. You can easily export and import orders from WooCommerce store using Order/Coupons/Subscriptions Import Export plugin for WooCommerce. Using the plugin you can easily export all the data from your WooCommerce store. To know more about the plugin and its features visit the product page. There are two file formats in which you can import or export the order data – in CSV format and in XML format. Let’s see how we can export the orders in each of these formats using this plugin. Consider you have all your orders on your website as follows. After you have installed Order/Coupon/Subscription Import Export plugin for WooCommerce on your website, navigate to the dashboard of the store and then WooCommerce > Order Im – Ex. The export section looks like the following. In the Export Orders in CSV Format section, fill in the following fields according to your requirements. After all these columns have been filled, click on Export Orders. This will export all the orders into a CSV file and the file will be downloaded to your computer. Click Download to CSV button to export single order to CSV file. To export bulk orders, select them. From Bulk Action drop-down list, select Download as CSV and click Apply. All the information about selected Order gets auto-downloaded to CSV file. 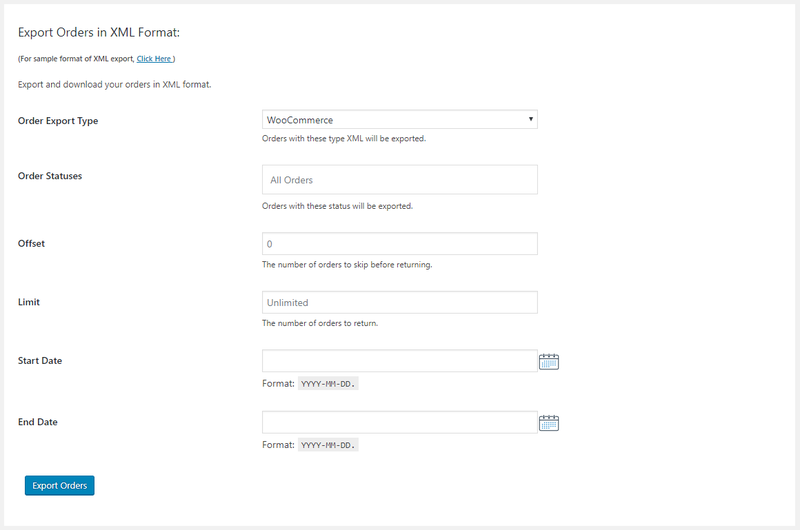 Select the Order Export Type as WooCommerce. After you have filled in all the required fields, click on Export Orders. This will export all the orders and the data related orders into an XML file. 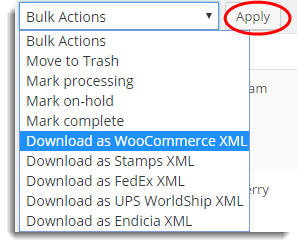 Click Download to WooCommerce XML button to export single order to an XML file. All the information about selected Orders gets auto-downloaded to an XML file.